Create a very cuddly and cozy baby blanket using several layers of soft cotton fleece and simple straight stitches at your sewing machine. Anneliese from Aesthetic Nest gives you all the directions for completing this project in her tutorial. Plus, she also links to a great tutorial for a simpler, straight stitched style baby blanket which is equally enticing. 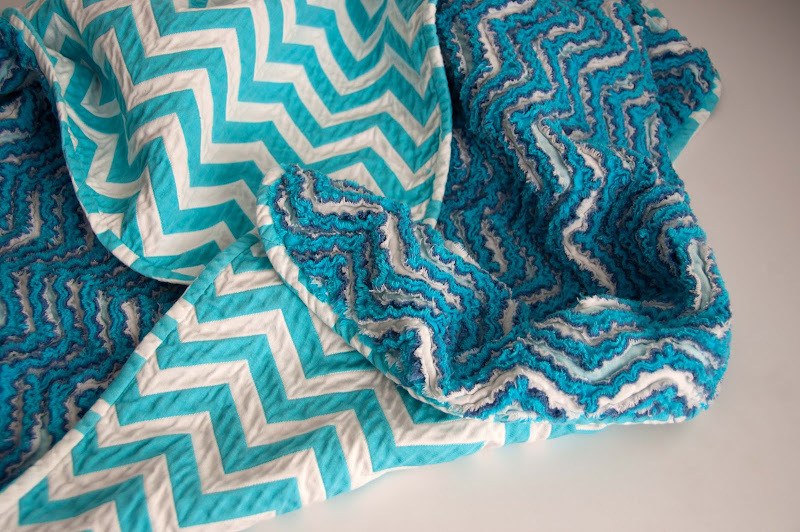 Click here to get the Chevron Chenille Baby Blanket tutorial from Aesthetic Nest.